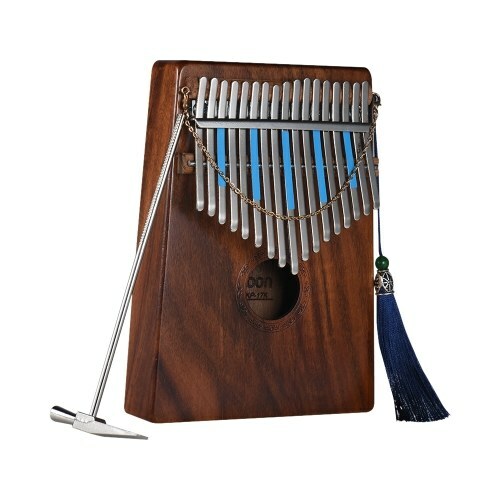 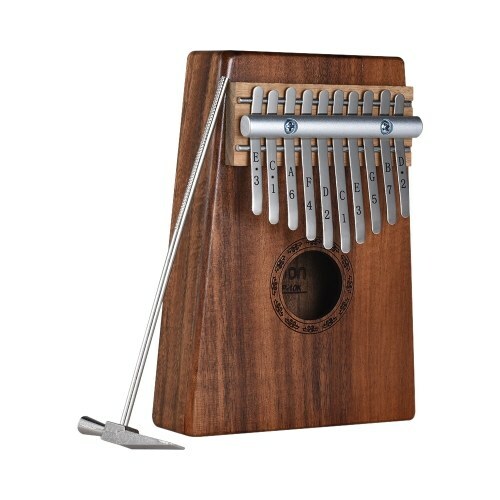 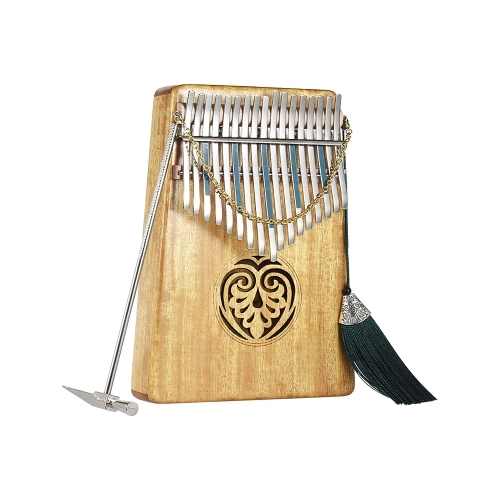 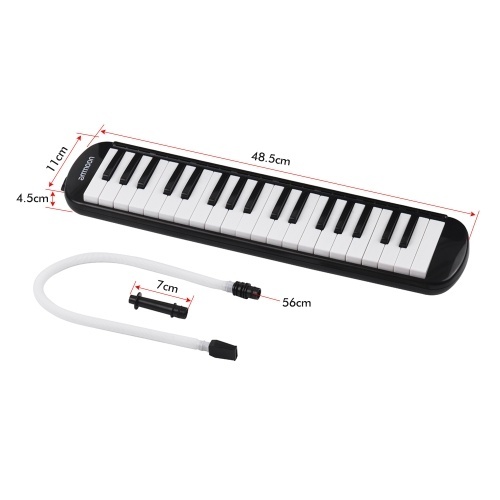 The melodica is a free-reed instrument similar to the pump organ and harmonica. 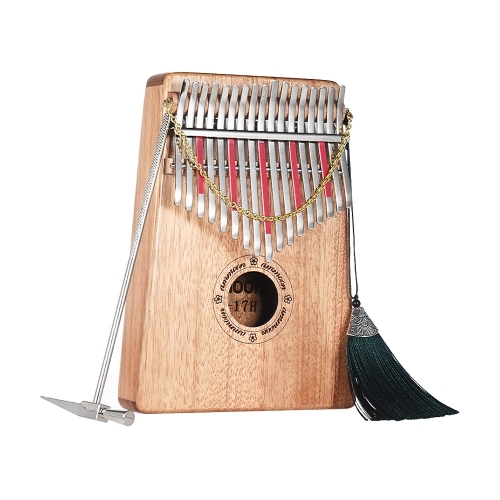 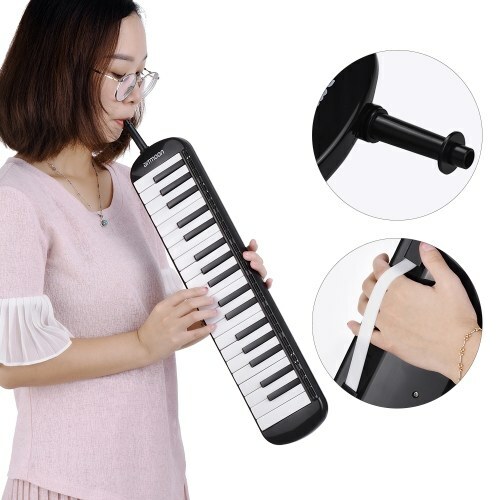 It has a musical keyboard on top, and is played by blowing air through a mouthpiece that fits into a hole in the side of the instrument. 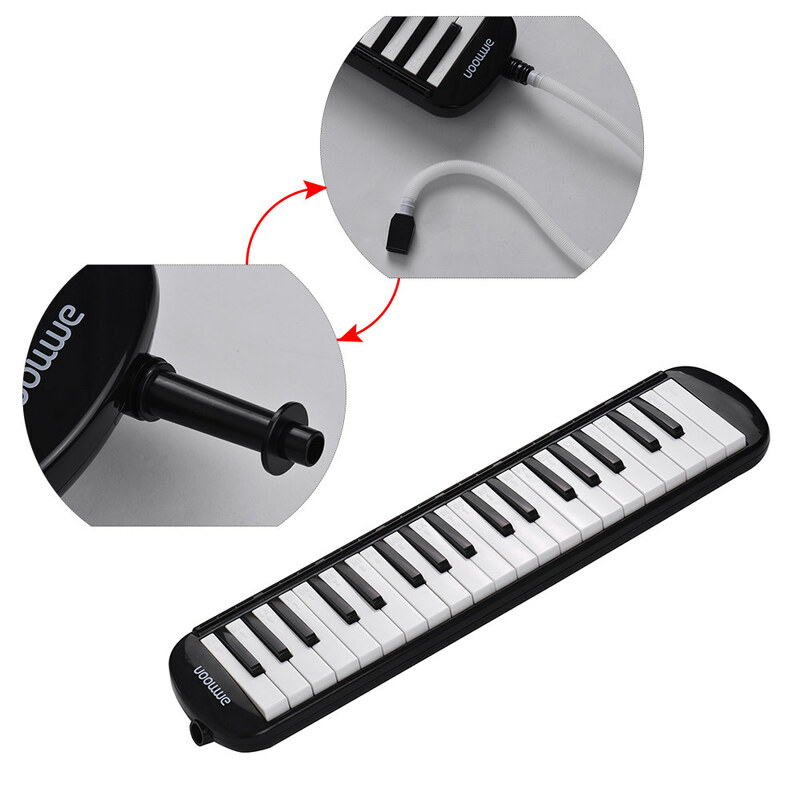 Pressing a key opens a hole, allowing air to flow through a reed. 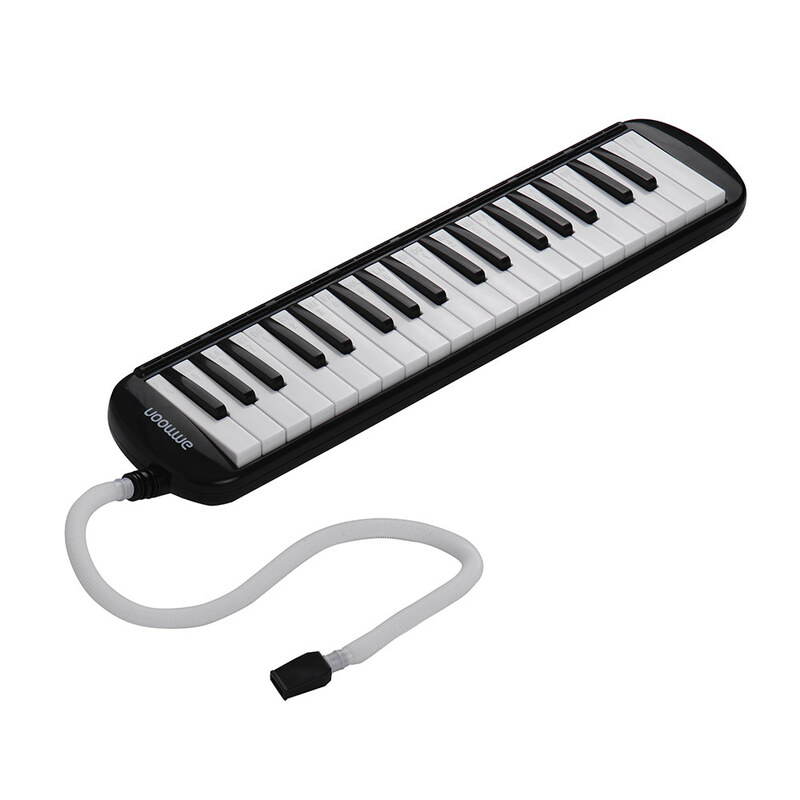 The keyboard is usually two or three octaves long. Melodicas are small, light, and portable. 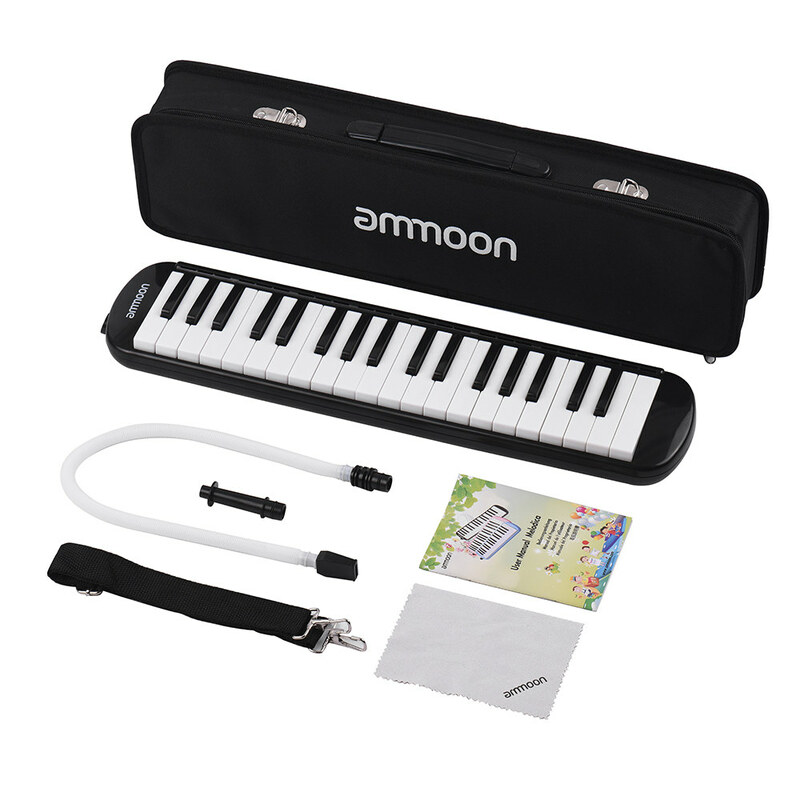 They are popular in music education. 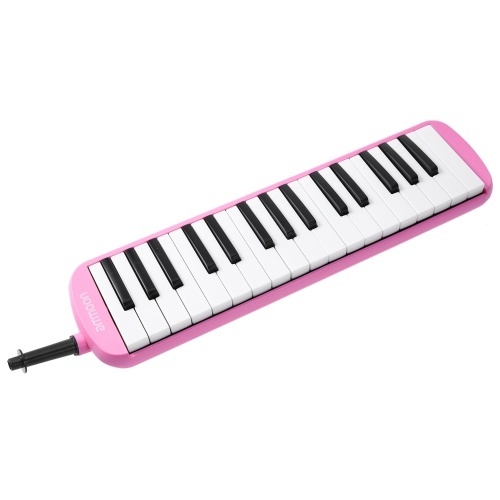 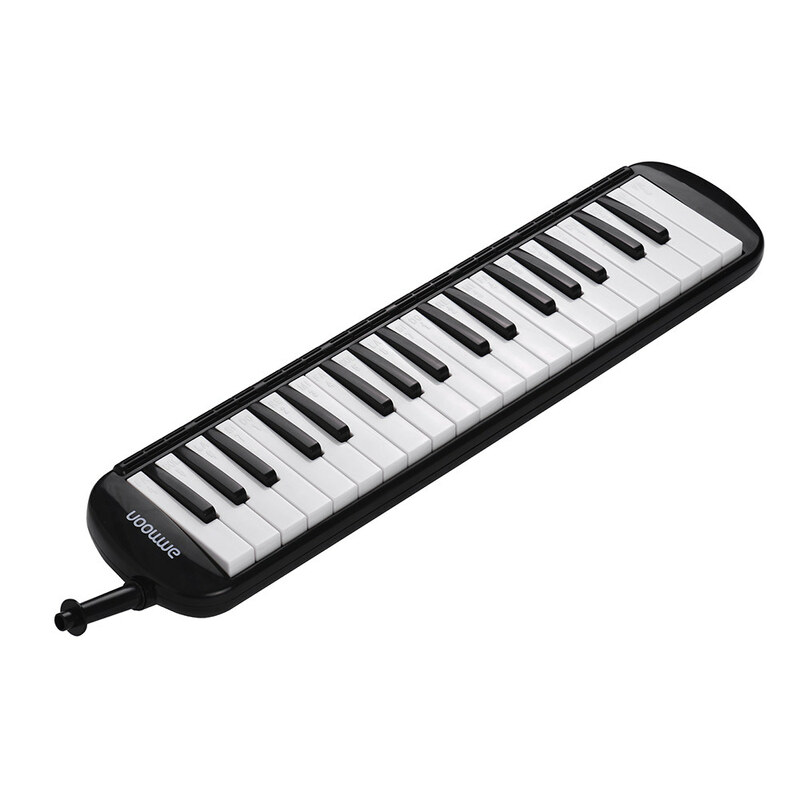 Better Performance: 37-key melodica, which is wider than 32-keymelodica, has 3 sounds across octaves, easy playing and quick learning. Safe and Durable: adopts eco-friendly ABS material, nontoxic and safe; compact size, lightweight and portable. 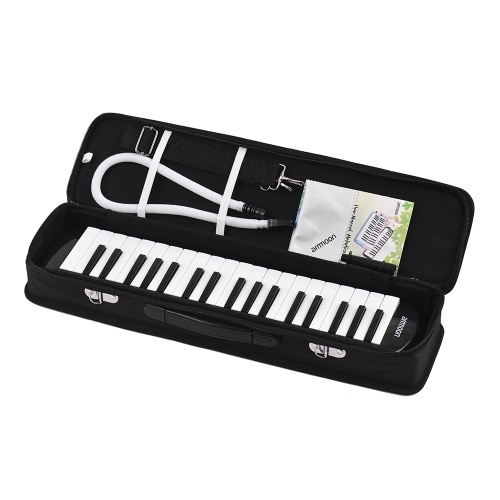 Elegant and Exquisite design: with piano style white & black keys, elegant appearance and exquisite workmanship. 2 playing ways: the short mouthpiece and backside strap for standing playing, and the mouthpiece with long pipe allows you to place it on table to play. 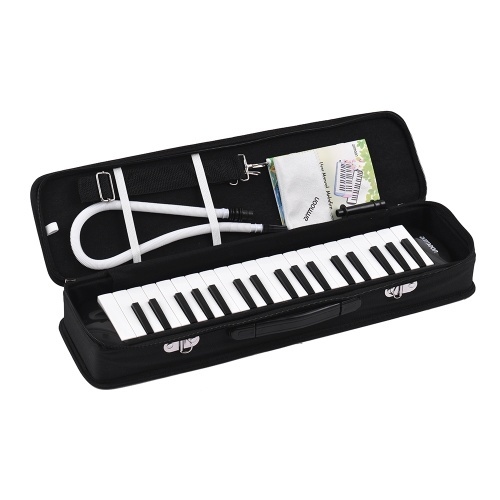 Easy to carry: comes with a case for easy carry and storage, also including a case strap, a short mouthpiece, a long mouthpiece, a cleaning cloth and a users manual.